Šest praktických testù plus odborné pokyny a zkušební tipy, jejichž cílem je zaruèit úspìšné složení zkoušky Cambridge English: Key for Schools. Cambridge English: Key for Schools, also known as Key English Test (KET) for Schools is a certificate that shows a pupil can deal with everyday written and spoken English at an intermediate level. 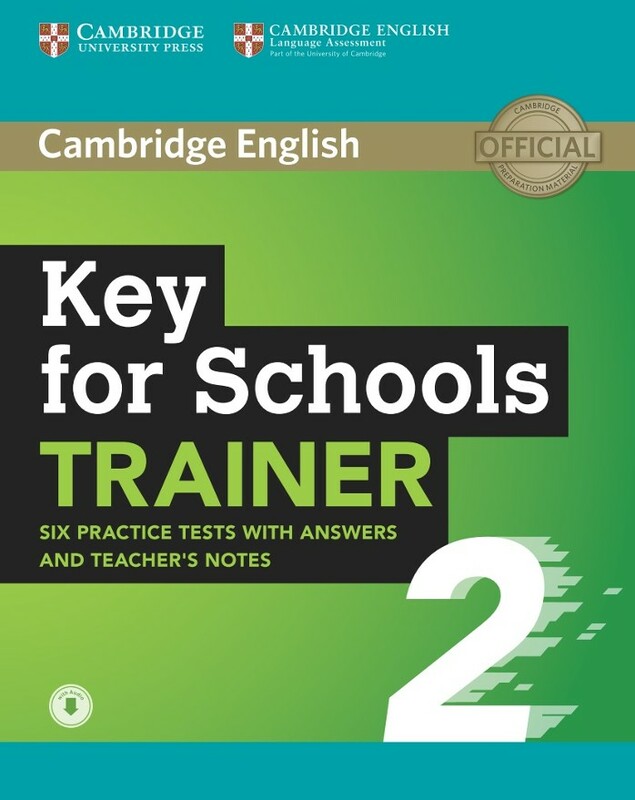 Key for Schools Trainer 2 is the perfect companion for Cambridge English: Key for Schools exam preparation. The content and treatment of topics are particularly targeted at the interests and experience of school pupils. Key for Schools Trainer 2 includes six full practice tests plus easy-to-follow expert guidance and exam tips designed to guarantee exam success. The first two tests are fully guided with tips and advice on how to tackle each paper. Extra practice activities, informed by a bank of real candidates' exam papers, focus on areas where students typically need most help. • The grammar and vocabulary exercises focus on common Key for Schools candidate problem areas so that students learn to avoid common mistakes.